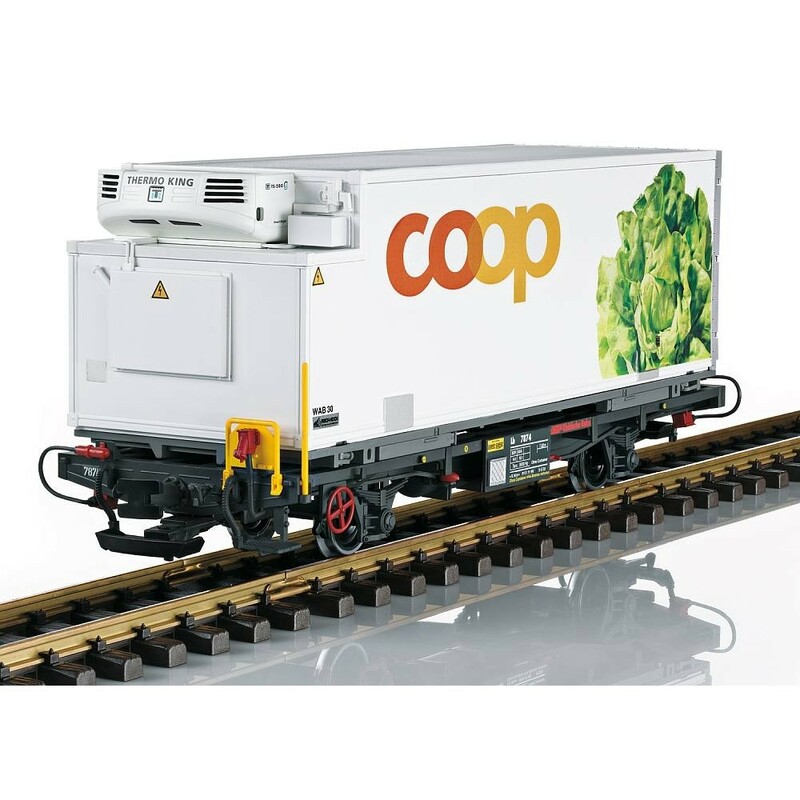 This is an RhB container transport car, loaded with a removable refrigerator container for the retail chain coop®. 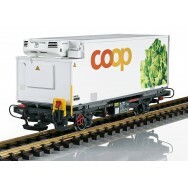 The paint scheme and lettering are prototypical for Era VI, and the container is imprinted with the theme "Salat" (lettuce). The car has a new car number. It also has metal solid wheel sets. Length over the buffers 41 cm / 12-7/16". This is a continuation of the popular series of refrigerator container cars for the retail chain coop®.